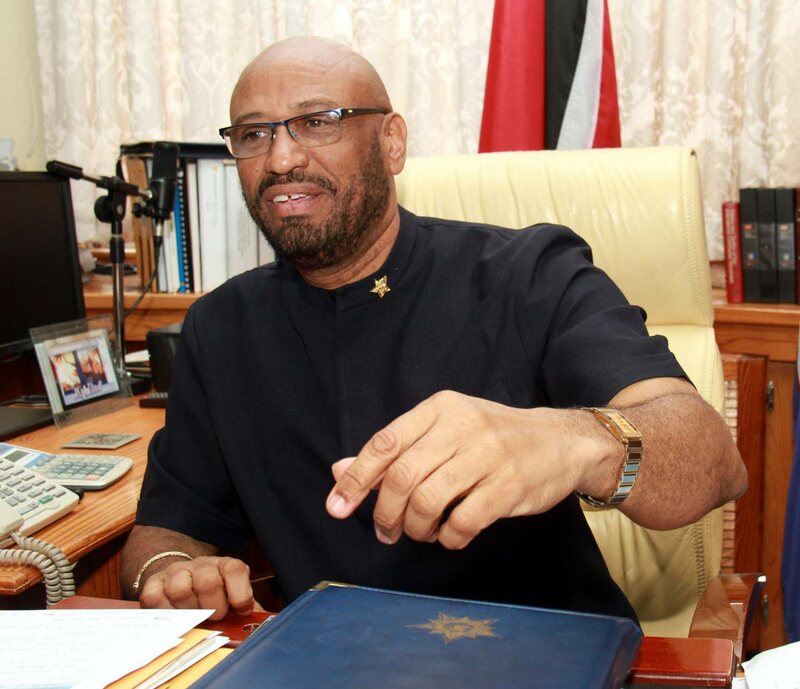 After a vehement rejection of Prime Minister Dr Keith Rowley’s offer to give them first option to purchase the Pointe-a-Pierre refinery, the Oilfield Workers’ Trade Union (OWTU) has had a change of heart. And will do so with foreign partners. The union’s partners in this new proposal are Suriname-based investment bank SunStone Equity and MAK England LLC, a commodities trader with operations in the US, UK and UAE. SunStone was responsible for creating a financial model for the acquisition of Petrotrin that was “acceptable to the government and the people of TT.” MAK will provide the crude oil needed to run the refinery as well as provide management. “The concept of ownership in the mind and philosophy of the OWTU would not have found favour but subsequently because of information pointing to other entities and people (wanting) to own the country’s assets, we thought we would have responded to the PM’s offer,” OWTU president general Ancel Roget said yesterday. Petrotrin’s majority union, then, is proposing a long-term lease-to-own arrangement, which it hopes to pitch to the board of the state oil company soon. “Our response is not to own it because our philosophy is always that what belongs to the people must be owned by the people and operated by the people in the interest of all the people in the country,” Roget said. The concept of ownership would be considered when the time comes, Roget said, but it would involve various permutation, including allowing various public institutions, unions, credit unions and pension funds to “be able to be part” of the company. Roget said in an effort to combat misinformation and in the name of transparency and patriotism, the union wanted to share its proposal with the country ahead of the meeting with Petrotrin. “We want to make sure everybody benefits, not just a capitalist here and a capitalist there,” he said. The company’s proposal will focus on the refinery as well as land and marine operations, including Trinmar. It also proposes a lease arrangement for the Augustus Long Hospital in Pointe-a-Pierre. The union would also ensure that all the jobs lost in the current shuttering of the refinery would be saved. “We have taken a radically different approach recognising the gaps and deficiencies in the current structure. We have taken the conscious decision to invite and accept a foreign management team as we transition to ensure we have the expertise, competence and experience to take us where we want to go,” Roget said. “Our proposal is to not have anybody displaced. In the refinery, our proposal of a lease will ensure that all of the jobs in support of the conduct of the refinery business will continue,” he said. What the union suggests, as it always has, he said, is that the “fat” of management will be trimmed. “Those people are in positions that cost the company money but perform no value and prevent valued input,” he said. Reply to "OWTU, foreign partners pitch for Petrotrin"